Why engaging in corporate philanthropy really makes a difference for us? Has a nice ring to it, doesn’t it? The truth is, if you turn on the news, listen to the radio on your way to work, follow social media, or browse a newspaper with your morning coffee, chances are, you will come across actions of goodwill at least once in your day. And although we hear about famous philanthropists and companies launching their new CSR (Corporate Social Responsibility) campaigns increasingly often, we would like to take you back to the roots of this concept first and then skip ahead to present day to look at how businesses benefit from giving back to society. 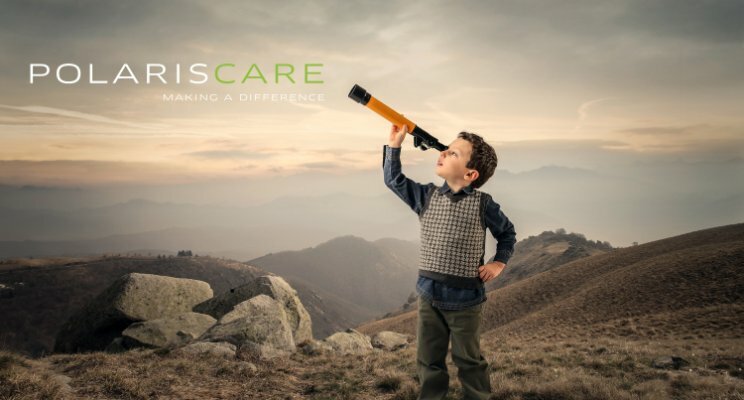 And this is what we achieve at PolarisCare, a business within our Planet Polaris core business, with initiatives like parentsforlife.eu and kledingpunt.be. These projects aim at improving community members lives and are there to act as a help and communication channel in providing benefits and material aid towards the more vulnerable members of these social societies, be it national or international, through the interaction between communities and corporations. In corporate terms, it refers to the collective efforts of businesses engaging in activities that bring about social change. Their contribution is most often monetary, but it frequently involves volunteering and raising greater social awareness on the specific cause. At Planet Polaris we implement this with the emphasis on education, culture and more specifically on children and their daily needs. Although this is not our core business we consider CSR (Corporate Social Responsibility) of utmost importance. What began as a loose range of activities has been officialised in 2017 with PolarisCare, an important part of our corporate entity Planet Polaris, providing help and assistance on a national and international level. If you run a company that engages in giving back to society through investing in philanthropic endeavours, apart from the sense of fulfilment you will have from helping others on their journey to a better life, there are numerous other benefits that your business will reap. All your corporate philanthropy efforts are likely to return benefits such as improved morale, increased employee retention, status as a preferred employer of choice, attracting new clients and investments, and being a cut above your competitors. But never forget, it is not about getting good marketing for your company, it is about a shared experience, an opportunity to effect the change we want to see in the world. Be it providing basic survival safeguards, global health, climate change, environment preservation, arts, social and economic programs, education — you and your business are vitally important in making all our projects success stories. With the help of Polaris Care, choosing which direction to take has never been easier. We will make sure the recipient receives your investment, and that no resources get lost in the process. This is why I introduce PolarisCare to you, our broad range of friends and customers. Our latest project is parentsforlife.eu, a bridge building and heterogeneous group of parents, professional caretakers, teachers, people involved in youth movements and social workers as well as corporate entities united around one goal: to help where needed, building stronger communities by supporting the members who could use some extra help in that community. With kledingpunt.be, our most recent initiative, our aim is to provide clothing to those who will be the safeguards of our future, the next generation: our children and more specific children in need. And honestly, I am proud of where we are at present. We achieved to gather a stock of 5000 pieces of clothing in the last months only… A stock that is there to help kids who could use that extra pair of trousers, sweaters or who need a new jacket in wintertime… absolutely free of charge and all this with discretion and without hassle. If your company is based on our planet and if you feel that you would like to make a difference, feel free to reach out and learn more about our initiatives!